Welcome to the Ashish Sharma appreciation thread. A tribute to the talented actor, the humble and hardworking man who stays connected to his fans. His handsome looks and his talent are God-given. His humility, professionalism and dedication and commitment to his work have made us his die-hard fans. He acts, he dances, he writes, he photographs, he produces, he plays sports, he sketches, is there anything he cannot do? If one could name that single factor about Ashish that makes him one in a million, it is that he is a risk-taker. Yes, he works incredibly hard. No, he does not complain. Those are sterling, admirable qualities. However, apart from those virtues that many others happen to share, he pushes the envelope with every new endeavour. He has actually played an undertaker, someone who deals with the last rites of the dead, at a very early age, when most other actors were grooming themselves to be alpha-male heroes. He has pushed himself into learning different dance forms in Jhalak Dikhla Jaa, rather than staying in his comfort zone. At the same time, he has said on several occasions that an actor is as big as his audience. He stays connected with his fans, balancing out and gaining positive feedback as he pushes the envelope of their comfort zone with him as well. Ashish describes himself as a good student. He is remarkably self-aware and analytical, a good student of his own character! His willingness, interest and capacity to learn each day of his life, is the biggest enabler in the journey of his career. We wish him a blindingly glittering future and much joy and love in this world. Read on to find out everything you wanted to know about Ashish, but were afraid to ask! (One request ...Plz DO NOT quote more than once ...if you do plz delete the text so only the box is visible. 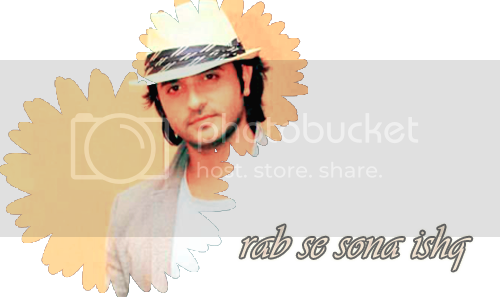 Also PLEASE COMMENT on Ashish's profile and Picture Gallery twice a day . DO NOT forget ). These are a few of Ashish's favourite things! Favourite Time pass Watching movies all day long! Favourite South Indian Dish Bisi bele bhath! Rangrasiya aired on Colors from December 2013 to September 2014. It started off as a Nautanki Films production, as a joint venture of Abhinav Shukla and Saurabh Tiwari. During early days, producer Saurabh Tiwari branched off into his own production house, Tequila Shots Productions and took over the making of Rangrasiya. Rangrasiya is a love story of many dimensions. Of soulmates. Of passion. Of conflict. It is the story of a simple village girl, Paro, and a BSD officer, Rudra. Paro is thrown in extreme circumstances literally into the hands of this dangerous, patriotic, BSD officer with a dark side to him. Ashish played the role of Major Rudra Pratap Ranawat, the brave, reckless (badass!) BSD officer. He prepared for months for this role, both physically and emotionally, going deep into the psyche of the character. From working out, growing a moustache and staring out the window in silence for hours (psyching his wife out) he crafted the persona, the quirks, the personal signature of Major Saab. In doing so, he swept the population off its collective feet. He said in an interview that he loved everything about Rudra, because he created him. A classic example of bringing a character in a script to life, to larger than life. Rudra was a career defining role for Ashish, moving him definitively into the big league. His moniker, "Major Saab" became famous nation-wide, with women like Madhuri Dixit and men like Emran Hashmi referring to him by that appellation. Ashish and his heroine, the incredibly beautiful and talented Sanaya Irani, raised the level and the meaning of "Hot Jodi" to a whole different hashtag! #HotJodi . Sanaya Irani played Paro, the simple village girl with a touch of the mystic. She was the yin to Ashish's yang! On a purely trivial level, Ashish, who has always been handsome, never looked more dashing and just sizzling HOT on screen. The Major in his BSD uniform, phatphatiya and aviators made a lot of dils go dhak dhak! Nonetheless, looks are not everything. Ashish portrayed a mindboggling spectrum of emotions, using the vehicle of powerful monologues in some scenes and eloquent silences where his eyes spoke volumes in others, providing the living, breathing counterpoint for his co-actors as they enacted those scenes. 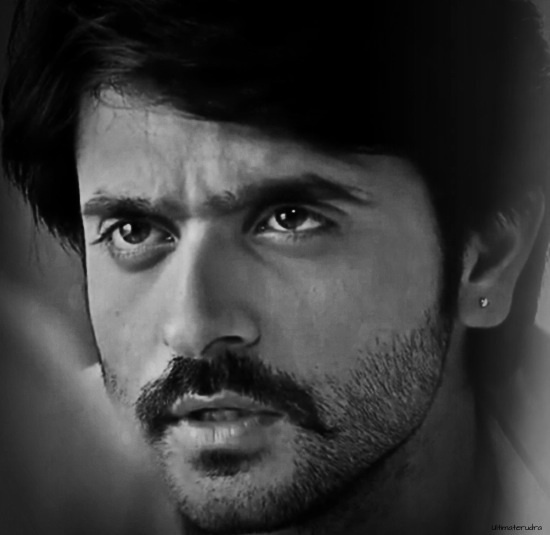 He breathed life into Rudra and that is why he won the hearts of all those who followed Rangrasiya. On the IF forum, Rangrasiya was the hot topic, maintaining its #1 ranking for most of the nine months that it aired. It is a testimony to the story and potential of Rangrasiya and how hot the jodi of Sanish and Parud was. He won ITAA great performer of the year award on November 1st 2014. From June through September of 2014, Colors TV aired JDJ 7. Judged by the (in)famous panel of Madhuri Dixit, Remo D'Souza and Karan Johar, hosted by the hilarious Manish Paul and Ranveer Shorey, the weekends were festivals of talent, mirth and masti. Ashish participated in JDJ and ... wait for it ... HE WON THE TROPHY! In this incredible journey of how a non-dancer who has not trained professionally becomes a dancer, he tried all flavors of dance, taught ably by Shampa Sonthalia, the ONLY choreographer who has won Jhalak TWICE, indisputably the reigning Queen of Jhalak Dikhla Jaa. From Yakshagana (ancient dance form from Karnataka) to paso doble, to the hot samba, to hip-hop and many more, Ashish pushed the frontiers on form and performance and danced his way into his fans hearts. Fans would spend all night voting for him and he never ended in the dreaded bottom two of the contestant pile. It is a fact that in Jhalak, the format of the show is such that fan votes are highly influential in deciding who wins. Ashish never forgot this. He not only brought through what was going on in Rangrasiya in many of his performances, he also connected with his fans over Twitter, displaying great senstivity to their moods as the story of Rangrasiya took a shocking turn with Paro "dying". As he reached out and connected, his fan following went from 10K to 20K on Twitter in a few weeks. Although other contestants seemed to have more followers on social media, Ashish's fans - thats us folks! - catapulted him to the top spot. He dedicated his trophy to us - his return gift for our love as he described it! Who will forget the dance item where he portrayed Rudra fighting for the flag! He was incredibly sick - and as he related later in an interview - he could not even remember what he did. He was so sick, he was ready to give up. As he later related, Archana, his wife and rock of support showed him the tweets and messages from fans and he pushed himself out on stage delivering a thunderous performance with his awesome hiphop group. Even Fawad Khan approved! Rab Se Sohna Isshq was a show that aired between July 2012 and June 2013. It was produced by Jay Mehta and his production house, Mehta Productions. The show was in Punjabi Sikh family setting, and was shot in India as well as in London. Ashish spent time in London and wrote in his blog about his visit to Windsor Palace! Check the Links Post for the link to his blog. The mainline plot was the love triangle between the lovable but made-for-trouble Ranveer Singh played by Ashish Sharma, his love Saiba played by Ekta Kaul and Daljit, the third wheel played by Karan Malhotra. Ashish played a happy-go-lucky Ranveer, spoilt by circumstances in the first part of the show. His role was killed off and he returned as Fateh Singh Rathore, who won Saiba's heart. And finally after a 20 year leap, he returned as Jeet, the son of Ranveer! Ashish literally went through acting boot camp in the show. As Ranveer, he played a guy trapped in a mental asylum, a con artist of sorts, an unwitting perpetrator of murder, and above all, a devoted lover. Ranveer was so brilliantly played by him that he was reprised in two more roles in the same show. He was the cornerstone of the show. Chandragupta Maurya aired between March 2011 and April 2012. It was produced by Sagar TV productions. Ashish entered the show well after it started, since he played the adult Chandragupta. Chandragupta Maurya went off air, because Imagine TV shut down. Here's an excerpt from the IMDB entry on Chandragupta Maurya. "The series revolves around a teacher in the first university of the world - TAKSHILA - and his vow to prevent India from getting enslaved by Sikandar (Alexander the Great)who after defeating the King of Persia Darius III was moving towards India. This is the story of a slave boy, Chandragupta, who with his abilities and guidance of Chanakya became the first ruler of whole of India. This story not only teaches the true essence behind the saying "Brain over Brawn", but how a person, just considered as a humble teacher, with his wits and cleverness not only defeated mighty Greeks and Indian empires, but also raised the slave boy to become the first Emperor of India." Ashish as usual gave his 1000% to the role. He learned taek-wondo, kalaripayattu and horseback riding, in addition to working out to bulk up for the role. He suffered a serious injury to his back while learning horse-riding, but he never complained about then, does not complain about it now. By the time Chandragupta Maurya went off air, he had already signed up for Rab Se Sohna Isshq. 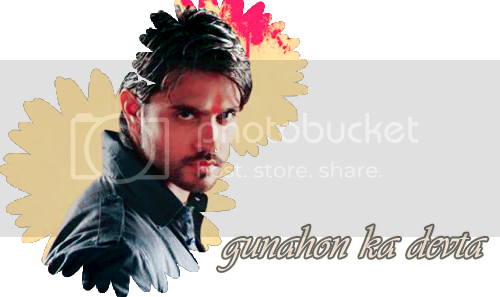 Gunahon Ka Devta aired from September 2010 to May 2011 on Imagine TV, a GEC run by NDTV. The series was produced by Shyamasis Bhattacharya of Shakuntalam Telefilms. At the time, Saurabh Tiwari the producer of Rangrasiya was the creative head of Imagine TV. Gunahon Ka Devta was the story of a girl in a small town, the daughter of a corrupt government official with two corrupt brothers and a doormat for a mother, who was a huge fangirl of the local Robin Hood. 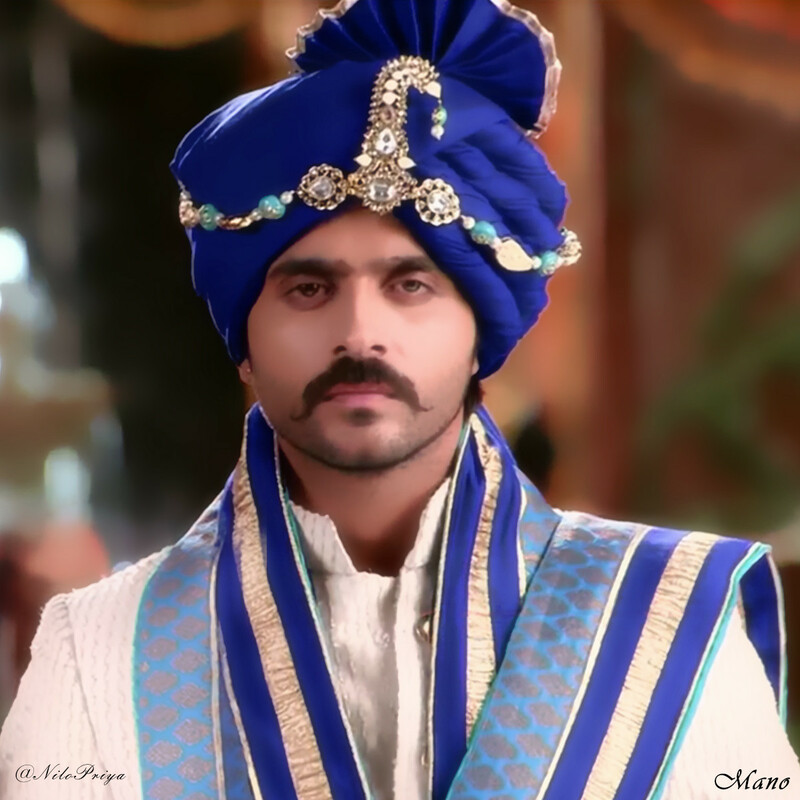 This outlaw went by the name of Avdesh Singh Thakur, who was played by our hero, Ashish Sharma. The story unfolded in the heartland of the Hindi belt, and Ashish played a heartland hero, complete with aviators, rolled up kurtas and Tata Sumos with gusto and heart. Tough on bad guys, but putty in the heroines hands, the story however took strange turns with Avdesh's sister-in-law being the villain of the show. The show ended tragically, with Arpita the heroine, played by Tanvi Bhatia dying, returning as a ghost and finally revealing the truth to Avdesh who followed her into the afterlife. Ashish played Avdesh as a layered character, tough and angry, but with an inner innocent core. The channel and show were not among the big three, but the show remained distinctive for its excellent cast. The movie has three sub-plots involving honour killings, MMS scandals and sting operations. Ashish played the role of Shahid in the movie. He was recommended for the movie by Anupam Kher, his teacher at acting school. Although his was not one of the main roles, the movie itself won critical acclaim and awards. Zindagi Tere Naam was actually shot in 2008, but aired in 2012. It is a remake of the famous book and movie, The Notebook. It stars Mithun Chakraborty and Ranjeeta. It was directed by Ashu Trikha and produced by Pawan Goyal. The heroine of the movie was Priyanka Mehra. GET THIS FOLKS: In 1990, Mithunda and Ranjeeta starred in a movie called GUNAHON KA DEVTA! - the same name of Ashishs first TV show! Coincidence? Fate? Just plain freaky?! 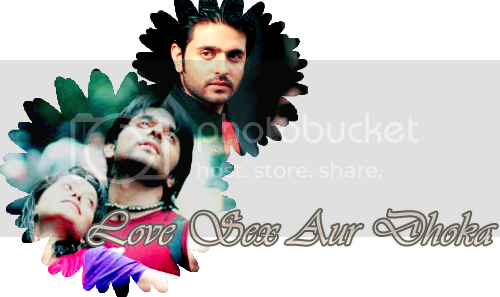 Ashish played the role of Vishal Mehra, the old friend of the heroine and the second love interest. He comes on one hour into the movie and he has an item number with the heroine. He was very young then, and spoke and acted differently - a cuter and softer persona. He had a cute smile and round cheeks, lean and tall. Very different from the khadak se khadak Major Saab, or rowdy Avdesh, or flirty Ranveer. But he did show flares of that intensity and his confidence on screen for a guy so young probably stemmed from his growing years in theatre. It is a point to be noted that really good actors, all of them, from Russell Crowe, to Nicole Kidman, to Shahrukh Khan, to Surbhi Jyoti to Shabana Azmi - have all done theatre at some point. Unparalleled training ground for face, voice and body language. The undertaker is a docu-drama about the life of an undertaker in Rajasthan. Ashish plays the undertaker. Ashish has always remained close to his Rajasthani roots, starting from this movie, and also in his shows RSSI and Rangrasiya. He also produces a local Rajasthani TV show, and was active in Jaipur theatre. He follows the Zee Jaipur literary festival and tweets and retweets on events happening there. Kindly refrain from discussing Ashish's personal life. Some family pictures may be posted in appreciation. There is a huge difference between constructive criticism and bashing. Please avoid bashing anybody here, including production houses and channels. You can provide constructive feedback on Ashishs performances as any of his multiple characters, comment on the story line and provide constructive feedback on other characters in the show - IN CONNECTION WITH ASHISH'S CHARACTER. Please avoid quoting more than three times as it makes the thread messy. Kindly keep personal exchanges to a minimum. If you do not like other members discussion, please sort it out through PMs. DO NOT POST EXPLICIT OR SEXUAL CONTENT. IT IS AGAINST INDIA FORUMS CODE OF CONDUCT. If you do not see your name under the members list, please PM MULTIMEDIAA .We will be thrilled to add your name to the list. Please do not distribute or reuse all the awesome pictures, collages, banners and siggies that our contributors worked so hard on without asking them and giving due credit. A big hug to all of you for being active in the previous AT. Hope it happens here too. This AT is not possible without few people whom I would like to thank them for their effort and handwork. 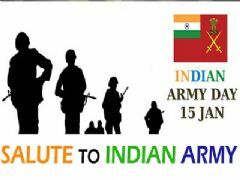 Sona Dear.You did a fantastic job with the last AT,all I have to do was to copy and paste.I know ur very busy but do peep in dear.Thanks for ur effort with the writings and info in the AT,I know how difficult it is. A big big thanks to Shweta who is the sole reason behind the previous AT and this one.She was behind Sona for the last AT and behind me for this one.Thank for all your effort.Your collages edits are amazing and it makes the AT lively.Hope to see more of your awesome work here too. Last but not least my darling Varshu. You are always sweet and loving.You are the victim of my queries and I know I tortured you a lot.Thanks for bearing with me.You are the most important reason that I remain motivated. A big thanks to all the members for sharing info ,pic,tweets etc. "To share your weakness is to make yourself vulnerable; to make yourself vulnerable is to show your strength." "I'm a greater believer in luck, and I find the harder I work the more I have of it"
"...talent means nothing, while experience, acquired in humility and with hard work, means everything."